Halfway through the week… we’re almost there! We have a lot going on this week, so the kitchen is closed… we’re going to be living off of salads, sandwiches, soups, and any kind of veggies that can be heated up quickly. And if I have time, I’m going to whip up some more of these Strawberry Crinkle Cookies to have on hand for the upcoming week. They are so dang good! Over the last month I’ve been recapping our NYC Christmas trip from a few years back so I’ve been thinking a lot about that. If you missed any of the recaps, they are below. All things Valentine’s Day – fashion, décor, recipes… all of it. 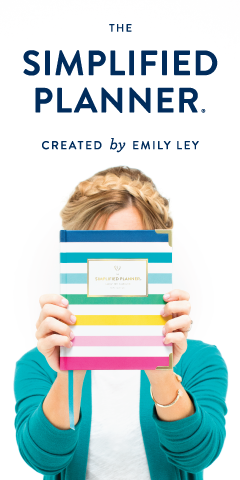 I have always loved all things pink and all things hearts (I mean, hello, look at my logo!) so Valentine’s décor just fits right in with my personality. I could wear pink stuff and hearts every single day. I mean, look at how cute this is… and I’m head over heels for this sweatshirt that Lizzie posted the other day… I just can’t justify the price tag. Waaaahhhh! Honestly, this month hasn’t been my favorite. It’s been nothing but a barrage of sickness (for all of us), ants (in the house – ugh), severe weather, and tons of other little things that I haven’t even mentioned here on the blog for many different reasons. I hate to complain in this little space of mine because I know that overall we’re extremely blessed, but being bombarded by lots of little things can really take its toll so I will be extremely glad to see January go. We just need to get through a few more bumps before it’s over. And speaking of which, I have an unspoken prayer request, so if you could just think of our little family the next time you pray, it would really mean a lot to me. February if it’s going to be anything like January. ;o) I kid, I kid. I’m praying that February is going to be worlds better! I must get out of this funk! · Start reading a daily devotional. I’ve been doing this every single day and I’m loving it. · Clean out everything. I have a long way to go, but I’ve already purged the kids’ toys. · Find a new doctor for my chronic back problems – I found the doctor, now I just have to make the appointment! 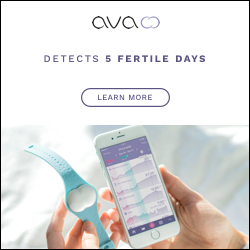 · Get Olivia completely potty-trained. Check! · Buy domain for blog. Check! · Host or co-host a link-up. Two are in the works! Eek! · Connect with new bloggers. I’ve already met a few new ladies who I know I’m going to love! · Post more recipes. I did one yesterday… did you see it? · Increase Instagram following to 5k. I honestly don’t remember my exact number at the beginning of 2017, but I remember telling B that I hit 3k on 1/13, and now I’m up to almost 3,200, so I’ve had a gain of maybe 300 for the year so far? At that rate, I shouldn’t have a problem meeting my goal. 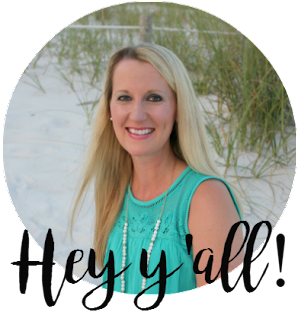 Co-hosting my very first link-up! Well, two actually. 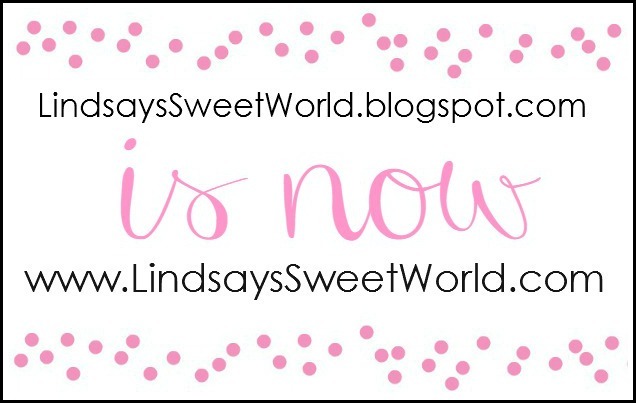 I’m going to be joining a current weekly link-up that you may be familiar with as well as working with some other lovely ladies to start a new monthly link-up… busy busy! More details to come soon! Watching – Tons of stuff! My favorite train wreck The Bachelor, This is Us, The Odd Couple, Big Bang Theory, and Shark Tank on TV and then B and I are still binging Gilmore Girls and The OA on Netflix. Oh, and Scandal starts back up tomorrow night! Can I get an amen! 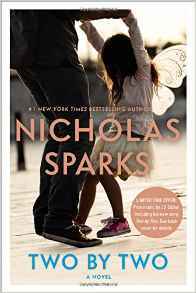 Reading – Two by Two by Nicholas Sparks. I’m a few chapters in and I’m liking it so far! This one seems a bit different than most of his books for some reason. I haven’t pinpointed quite why, though. Closer by the Chainsmokers. Over and over and over and over and over and over. Because… kids. Haha. It’s their favorite right now! Short sleeves and skinny jeans one day, and then boots and sweaters the next. This weather has been C-R-A-Z-Y this year. And it’s often pretty crazy, but this last year takes the cake! And also on this topic, did you see that I completed my challenge in 2016 and I managed to wear something different for all 366 days of the year?! Oh yes I did! You can see how I did it here, you can see how I took all of my OOTD pictures here, and you can see every single individual outfit from 2016 in the links below. We’re hoping to take a little weekend getaway to Atlanta next month. They have this place called Snow Mountain, and since Olivia’s never seen snow (and Jacob doesn’t remember it) we would love to take them there. And maybe also Legoland? I never really know what to say here because I’m already so transparent with you guys, so we’ll just let this one go and call it a post! Happy middle of the week, friends! Keeping you in my prayers sweet friend!! I can't wait to hear more about the link ups! Hope you have so much fun at the ball and can't wait to see pictures! And yes, that Target Dollar Spot is perfect for your blog decor! Thanks, Andrea! You know I'll be posting lots of pictures! I am still rooting for that red dress - it's just so neat!!! I think your NYC recap has me convinced that I need to go around Christmas - already trying to work on that one! Also super excited to see what you do for Olivia's party - you always do such a great job with everything. The weather just can't make up its mind. We were in the 40s the other day and up to 60s today apparently. I can't get it straight!! Hoping the next month eases up for you guys in terms of sickness and all other not fun stuff! Yay for link ups! And I hope you chose the red dress!!! The white was gorgeous but the red would really pop on you! Hope everything is okay! Way to go on the IG growth!! My goal is 5K as well! I actually calculated it all out and figured I need to grow by 10 people a day. It sounds like you've got this!! I keep hearing about the OA. What is it all about?? I can only see The Deathly Hallows (Harry Potter reference) when I see the logo. Thank you! It's SO hard to grow on IG because of all of the people who follow/unfollow, but slow and steady wins the race, I guess. And I can't even describe what it's about... I've been watching for three episodes and I'm still totally confused. Haha. You will be totally hooked though after the first episode. Will keep you guys in my prayers! I always dislike January. It's so LONG and gray and yuck. Hurry up February! I love the song Closer too. It came on when my sister was in the car and I started singing and she said, "Wait, you KNOW this song?" Like I'm a hundred years old and don't listen to pop music on the radio! Ha! Be so very fun!!! How fun to host a link up. Can't wait to see what they are! This month has been the pits friend :(. Can't wait to see which dress you pick. 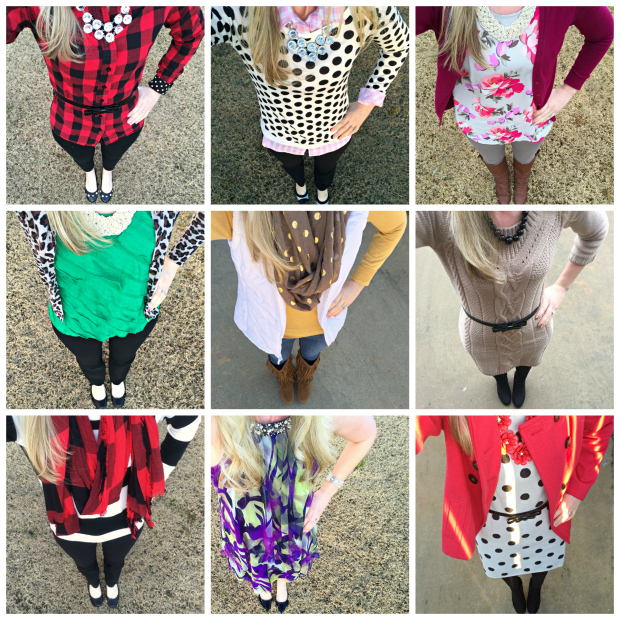 I know you will look amazing in whatever you wear! When is Olivia's birthday? Emily's is the 21st! A placed snow mountain??! I'm in! Oh you should for sure check out legoland if you can, both kids will love it!! um that red dress is EVERYTHING! Also, I have been craving a NYC trip like nobody's business AND hubby has never been! Excited to hear about your link up! There's one in the works on my end as well that I'm super excited about! 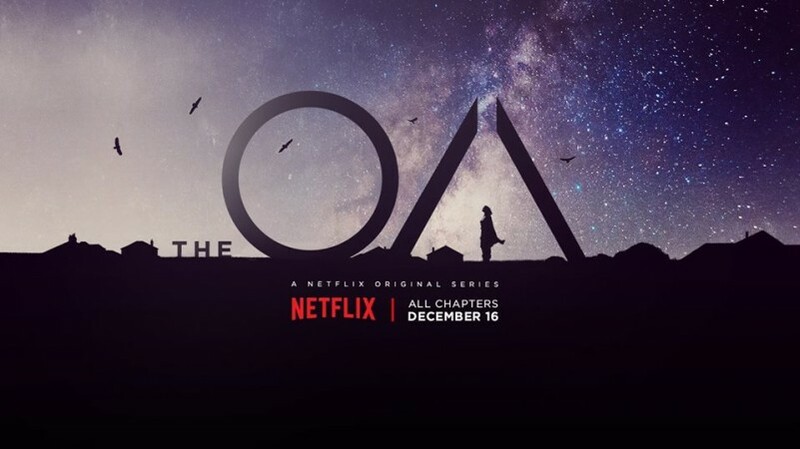 I need to check out The OA - I've heard several people mention that they like it. Need something to binge watch now that I've gotten through Stranger Things, Parenthood, and The Man in the High Castle! Can wait to hear about the ball!! Trying to pull myself out of the blahs of winter. I'm hoping February is better! And the OA...I'm hooked! Lol...is it odd that my favorite part is you noting you are always so transparent? I always feel the same way when I get to that question. Can't wait to hear about your linkup news. SO GLAD January is on its way out. February can only go up, I am sure of it! 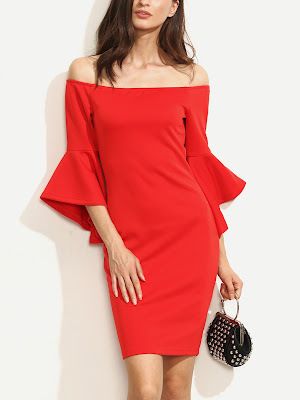 So excited to find out how that red dress works for you, and super excited to see the new link-ups you will be involved in! You are doing good with your goals girl! I want to hit 5k on IG too...but darn it's freaking hard, that I don't even know if I will this year. I would also like 5k on Twitter...but like you, I hate it. I'm almost to 2k but it's a drag to even post...but I will say, it does bring in more blog traffic. Love the red dress! I haven't watched the OA but I keep hearing good things... is it scary or more sci-fi focused? Hoping February is better for you guys!! I can not wait for Scandal. My husband is exactly out of town tomorrow night which makes me happy so I can watch without him asking me for details. Wow so much going on this month. And lots of sickness. We have had a lot of sickness in our house too. I can't wait for February. A fresh start. I am loving This is Us and might start Stranger Things soon. I heard it is good, but weird. I guess I can mix it in with my Parenthood binges. Doing amazing on your goals so far! I'm with you on the organizing, and I'm so glad that you decided you like the OA...I can't wait to keep watching, we're on episode 4 I think, so good! So you doing different outfits again his year? Can't wait to see what link up's your doing this year, fun! Aw Linds, I hope everything is alright! Sending a prayer up for your family. Hoping all is okay. Glad you guys are still keeping busy with fun things through harder times. I loved the OA, I just couldn't not like it. Andy was less of a fan, but I was intrigued! I about died laughing when you so bluntly said that the kitchen is closed. My husband is going to be gone for the next few weeks, and I'm sure my kitchen will spend more time closed than open since it's just me and the kids. lol! And I'm with ya.... i loathe twitter and don't even try anymore! I hope things start to go your way soon. My January was a bit of a slump too. Nothing horrible, but nothing great either. Can't wait for your new link ups! We went to Stone Mountain when we were in Atlanta over Thanksgiving, but the Snow part looked so fun. We had so much fun in the little village, and also riding the tram up to the top of the mountain. Have fun! I am excited for the link up news! I also keep hoping your month is going to turn around. Here's to a better February! It sounds like you all have some really fun things planned. I love the red dress. It is so pretty. Have a great rest of your week, and lots of prayers are headed your way! Thank you so much, Jenna! Our prayers were answered this morning! I will share more about it on Monday. January seemed to have gone equally fast and slow, but all in all, it's February in a week. How crazy!! I keep looking at all the LulaRoe Valentine leggings. Sigh...so cute. I got the new Nicolas Sparks book for Christmas and I can't wait to dive into it! I figured it was going to be a bit different than the rest just by his cover lol! I thought the exact same thing! I'm enjoying it so far, but I've heard mixed reviews about it. Yes! Give me all of the Valentine stuff. I don’t know why but every time I get in my car it just takes me to Target. That’s what I tell Nate, at least. Haha. I can’t wait to see your décor! I pray that January turns around for you guys and ends on a really good note! You are the 2nd blog that I’ve read today that talked about the OA. Now I am curious!